Three bands of creamy holiday bliss! 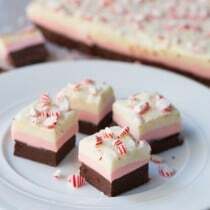 Today’s Layered Peppermint Fudge is an easy seasonal treat that is just as exciting to look at as it is to taste. Growing up, there was a peach orchard just a few miles away from my house. The owners of the orchard had a little store with a restaurant that they ran out front called the Peach House. We would visit on special occasions, particularly for mother-daughter lunches. There are many things I remember about the Peach House… All the peachy products they sold in the store, the colorful salads they served at lunch with a huge slice of fresh pineapple, their amazing herbal iced tea, but most of all, their fudge counter. Nearly every time we visited, we would leave the store with a little slab of fudge carefully wrapped in paper and placed in a white box. The box would sit out on the counter so that each time a family member walked through the kitchen, they were tempted to pinch off a little bite of fudge. So as you can imagine, our slab of fudge never lasted long. The Peach House offered all sorts of fudge varieties: peach of course, pecan praline, triple dark chocolate, cookies and cream fudge, just to name a few. Yet the peppermint fudge was always my favorite. Making fudge at home is much easier than you might think. There are recipes out there that call for many ingredients, tempering chocolate, and candy thermometers. Yet my basic go-to fudge recipe requires only two ingredients: sweetened condensed milk and chocolate. In today’s Layered Peppermint Fudge recipe we’re using more than 2 ingredients, 6 (including food coloring) due to the layers. But essentially it’s the same recipe. One layer of classic 2-ingredient chocolate fudge. 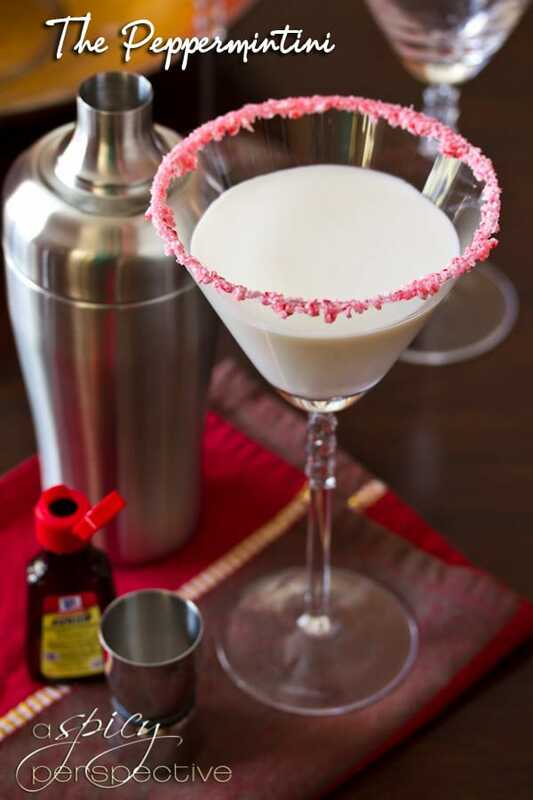 One layer of white chocolate fudge with peppermint extract and a drop or two of food coloring to make it pink. One layer of 2-ingredient white chocolate fudge. Crushed Red Band peppermint sticks on top! I love making this recipe in my large Swiss Diamond Nonstick Stock Pot because it makes the clean up so easy. Swiss Diamond’s nonstick surface made with real diamonds is safe, healthy, and eliminates microscopic pores in the surface, so it’s almost impossible for food to stick to the cookware. Sticky foods like fudge and caramel simply rinse out of the pot with water! I used the same Swiss Diamond stock pot for all three layers of the fudge, rinsing in between, then starting the next layer. Each layer is so fast to make, that even though you’re preparing three separate types of fudge, it comes together very quickly. Pour each layer into a baking dish, then sprinkle chopped old-fashioned peppermint sticks on top. Nostalgic peppermint sticks are soft like butter-mints, and melt in your mouth. 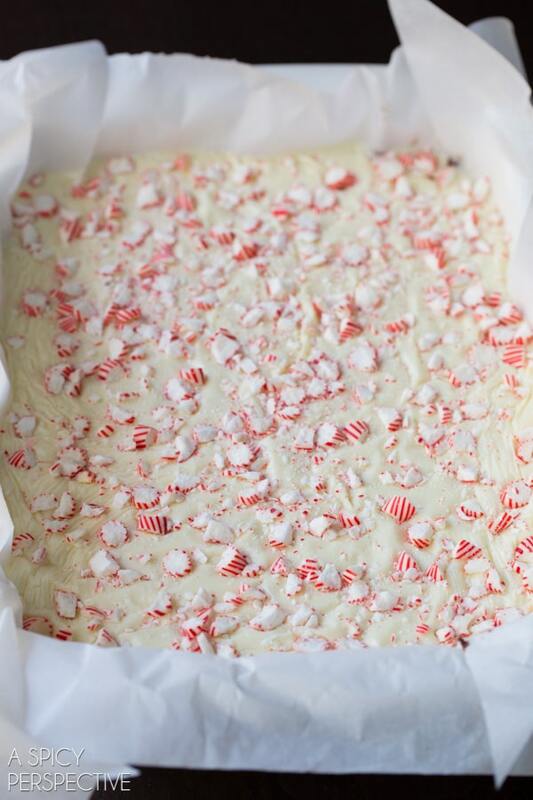 You’ll notice in the recipe that I used white almond bark instead of white chocolate in today’s Layered Peppermint Fudge. The biggest difference between white chocolate and almond bark is that almond bark is made with vegetable fat instead of cocoa butter. I find almond bark retains its white color when melted, while white chocolate tends to turn thin and yellow. However they are interchangeable in this recipe. 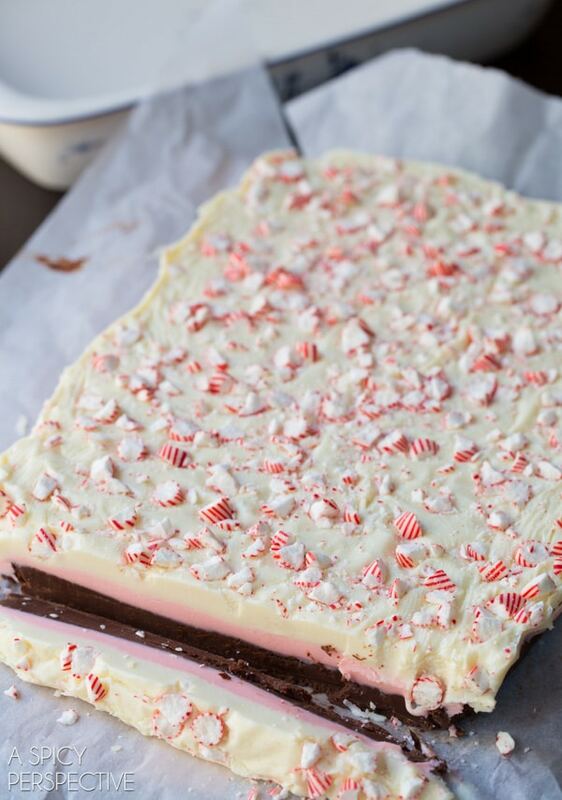 I’ve made peppermint fudge many times over the years, but this gorgeous Layered Peppermint Fudge is my new favorite. The delicate bands of white to dark chocolate flavors and kiss of peppermint, make it a marvelous holiday gift! 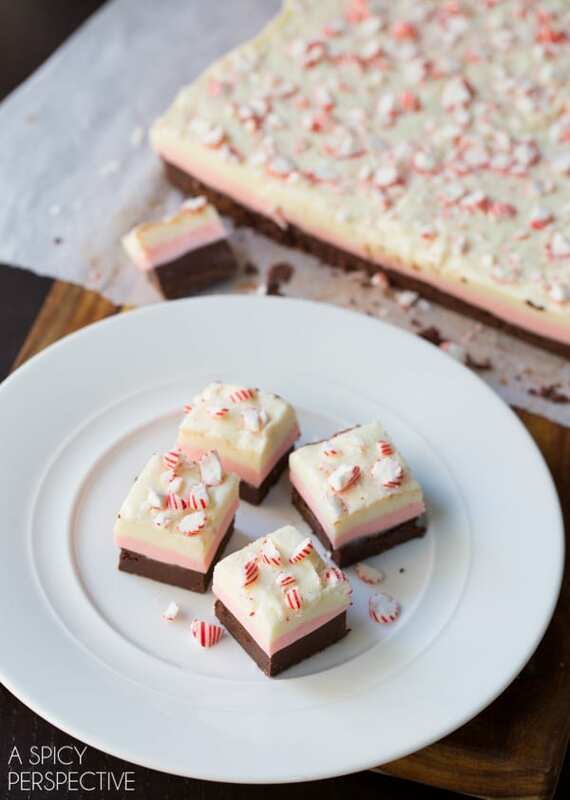 Layered Peppermint Fudge – 3 decadent layers of dark chocolate, white chocolate, and peppermint fudge. A holiday treat that tastes like a dream! Rinse the pot out with water and dry with a paper towel, then set back over the heat. Pour another can of sweetened condensed milk into the pot. Add 3 cups of chopped white almond bark, 1 teaspoon peppermint extract, and 1-3 drops of red food coloring. Stir until the almond bark melts. Then pour the peppermint layer over the chocolate. Rinse the pot out with water again and dry with a paper towel, then set back over the heat one last time. 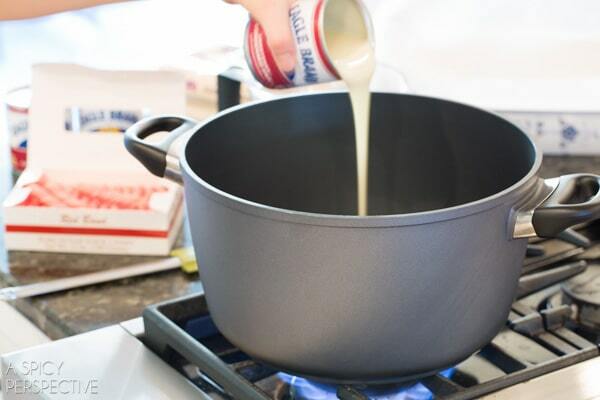 Pour the last can of sweetened condensed milk into the pot. Add 3 cups of chopped white almond bark and stir until the almond bark melts. Then pour the white chocolate layer over the peppermint layer. Place the pan in the refrigerator and chill until firm, 1-2 hours. Then lift the fudge out of the pan by the edges of the paper. Cut into squares. Keep in an airtight container until ready to serve. Disclosure: This post is sponsored by Swiss Diamond Cookware. All opinions are my own. I’m assuming you need to chill between each layer? I poured my peppermint layer on top the chocolate layer and they just mixed together. I guess I’ll have a 2 layered instead of 3! Amanda, Oh no! I didn’t chill between layers. (Although that’s not a bad idea!) You must have worked REALLY fast, because mine had time to set a bit before each layer went on. I actually never got it to harden in the fridge, even overnight. I am thinking I used the wrong kind of condensed milk-I tried using fat free but I think I will try it again with regular. Where do you find the White Almond Bark and Nostalgic Peppermint Sticks? I didn’t have any success at Kroger today. Plus they were out of Peppermint Extract. 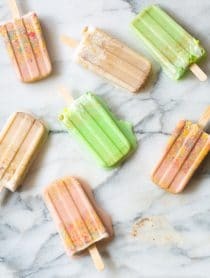 I want to make these for a party this Friday! :) Thanks! Hi Jan! Almond bark should be in the baking aisle of any major grocery chain. :S Walmart would have it. I found the “Red Band” old fashioned peppermint sticks at my regular grocery store as well, but they would be sold anywhere you might find old-fashioned candy… a general store, or even Cracker Barrel. Thank you, Sommer – We do have a Cracker Barrel near here. I will try there. Yes, I was surprised Kroger didn’t have the ingredients. I looked in the baking aisle and in the “seasonal” aisle… where the Christmas candy was. My store had the almond bark in the produce area near the bulk nuts! Hi Sommer, I have put this in a post for tomorrow and used your photo and linked it back to you. I hope you don’t mind. If you want me to take it down let me know and I will. This has got to be the prettiest fudge ever! Love it! I wanted to share that I made this last night and it turned out wonderful! Silly me though.. I purchased all the chips and condensed milk thinking I had food coloring.. but I couldn’t find it. So I had to improvise. Luckily I already had a bag of Andes peppermint crunch baking chips. This is what I did for the peppermint layer: 2 cups white chocolate chips, 1 cup of the peppermint chips, 1/2 tsp peppermint extract and condensed milk. The peppermint chips gave it the nice pink color. I used white chocolate chips in this recipe instead of the bark (couldn’t find a kind I liked) and it worked out fine on both layers for anyone wanting to know. Coloring and consistency was great. I topped off the fudge with a handful of the peppermint crunch chips instead of the candy canes. Thank you for this recipe! It’s delish! My favorite sticky holiday treat is the white chocolate “trail mix” my mom and I make. It is even better frozen! 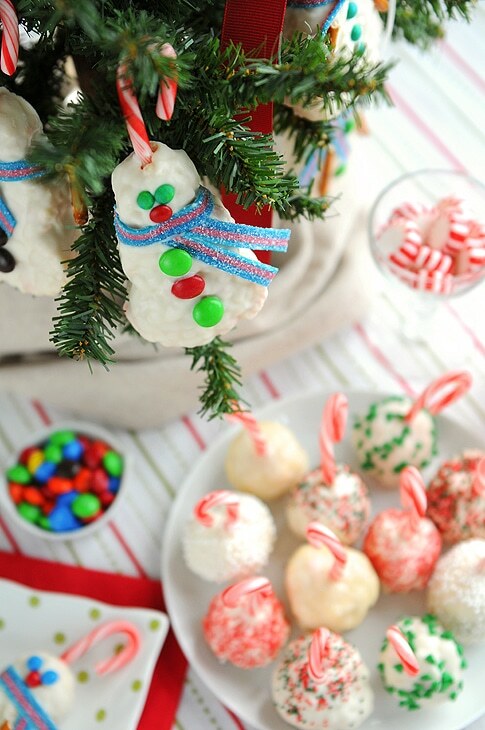 My favorite sticky holiday treat would be popcorn balls. I’m really looking forward to some toffee. I love to make divinity for Christmas but also love the combo of chicolate and peppermint! Can’t wait to try this recipe. Know what will be made in my kitchen this weekend! Our favorite is Homemade Old Fashion Peanut Butter Fudge! You are so right…it’s so easy to make fudge at home…many people don’t attempt it because it seems to complicated but I never use a candy thermometer and it comes out perfectly each time! It just takes some practice! I can’t wait to try this recipe…I love Peppermint! My favorite sticky treat is homemade caramel corn drizzled with white chocolate.. We call it crackcorn! Once you start you can’t stop! My favorite sticky treat is actually fudge! I’m excited to try this! I always make peanut brittle at Christmas. The stickiest!! Although not too sticky, one of my favorites for the holidays are peanut butter balls (buckeyes). My mom, Aunt and I make these every year along with our traditional fudge. 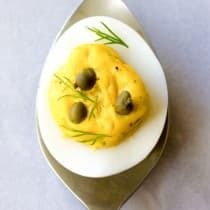 I will be trying this recipe this year! Looks delicious! Who doesn’t like peppermint fudge? Can i use White chocolate chips in stead of almond bark? Hi Megan! Yes, I talk about that a little in the post. White chocolate is fine, it just doesn’t stay as white when melted. I love making/eating candy apples! Can’t wait to try these too! Moist sticky cake and Vanilla Ice Cream! Love a sticky caramel corn! Pumpkin fudge is a fvorite at our house. Anything with caramel! Caramel fudge, caramel apples, caramel syrup covered ice-cream……. Pecan pralines from a secret family recipe. It’s not the holidays without at least 2 batches. This pan looks awesome. The last time I made candy was about 50+ years ago. Carmel burned so bad in my mothers pan that it(the pan) needed to be tossed. So delicious! I love the chocolate and peppermint flavors for the holidays! 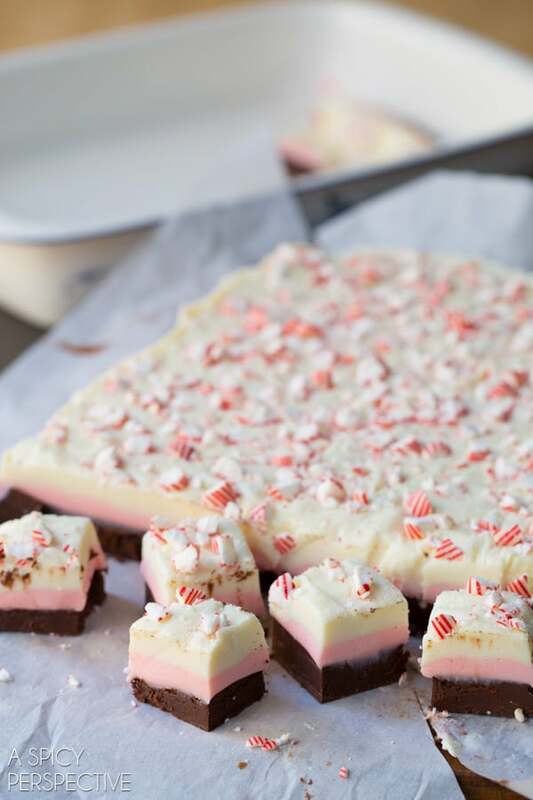 Peppermint Bark Krispie Treats are our favorite. We cannot get enough. I have to make a triple batch. I love toffee at Christmastime! Those photos are stunning. I can’t wait to try that recipe! My favorite sticky holiday treat is pecan sticky buns! 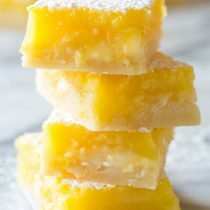 I’ve never made fudge before, however your recipe seems so easy and looks so incredible, I am definitely making this one! My favorite holiday treat is peppermint fudge. I also like making Christmas Crack, which is saltines, caramel and chocolate combined into a bark-type candy. Delicious! Cashew brittle but mine is gooey. I love making Red Velvet Cheesecake. I love making soft, chewy peppermint truffle brownies <3 I use my mother's brownie recipe but chop up Hershey's mint truffle kisses to mix in the batter and spread on top. Mmm-mmm! Let’s see my favorite sticky holiday treat is baklava. My favorite sticky treat is Candy Apples! I have been experimenting with different fudges for Christmas and am exited to try this one- it is very pretty! We make pecan pralines – they are sticky and delicious! My daughters famous Rocky Road Fudge! Yum! All kinds of sticky treats, but caramels are the fav! This will be my new favorite treat once I have a chance to make it, I feel! I recently made the Apple Cider Caramels from Smitten Kitchen and now I am going to make your lovely caramels. I had such a fear of using a candy thermometer and am happy to say it wasn’t so bad ;) Now if I could conquer my fear of using yeast :) LOL! I saw this running around Pinterest and had to stop by and say – great job! These are so adorable – can’t wait to try the recipe myself. Yum! We love peanut brittle in my family. My favorite treat my family made every year during the holidays was a warm apple crisp with vanilla bean ice cream on the side! Yum! Happy holidays! I “Liked” A Spicy Perspective on FB but the name that auto-filled is incorrect. The name I follow with is Terry Stevens. I love fudge with a top caramel layer. the fudge looks divine and so does the Swiss Diamond pot! I love homemade turtles. They are really good. I love your blog! 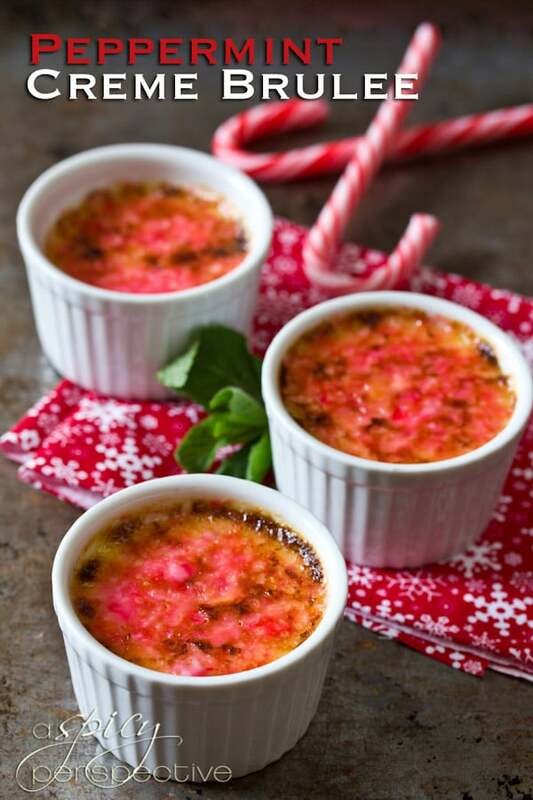 I can’t wait to try the Peppermint Creme Brûlée – I’ve wanted to make creme brûlée for a long time, and now I have the perfect recipe to try! Thanks for the inspiration and recipes! I love making ginger molasses cookies! I do make a peppermink bark thats yummy, also. But, this fudge looks amazing!!! One of my favorite Christmas time goodies is my grandmother’s popcorn ball recipe. She always made hers using molasses, and they had such a rich flavor while being both crispy and chewy as well as sticky. I miss her and her popcorn balls. Will definitely try this! 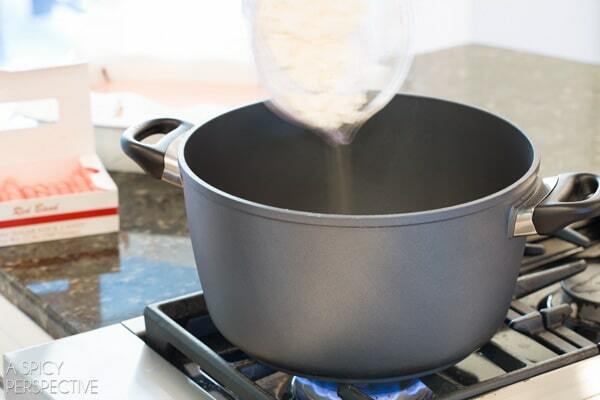 And the pot sounds perfect for making sticky, gooey recipes. It’s a tie between fudge and pralines! That looks delicious! It wouldn’t last long in my house! 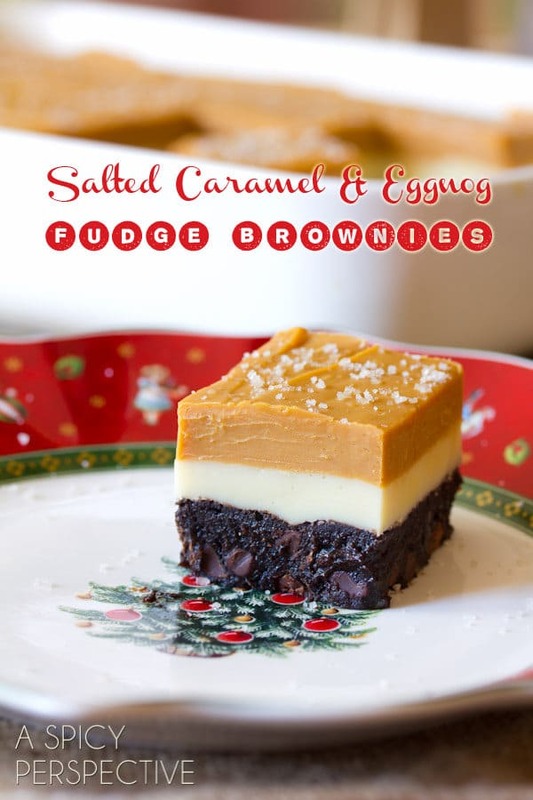 I haven’t had any fudge yet this holiday season.. this would be a perfect one to start with! This is the prettiest fudge I’ve ever seen and I bet it tastes even better :) My favorite sticky holiday treat? Definitely fudge. Or peanut butter balls! This looks great! Will it travel? I’d like to make some and mail it to my sister. That is one of the most gorgeous looking fudge treats ever! I love the layers and the peppermint crumbles on top! I make caramel apples every year… always a sticky mess, but so yummy. This layered fudge looks amazing and so festive. Will definitely try it out. My daughter makes her own version of Rice Krispie treats. Includes peanut butter and then adds a layer of melted chocolate and butterscotch chips. Yummy! My daughter daughter makes her own version of Rice Krispie treats. Includes peanut butter and then adds a layer of melted chocolate and butterscotch chips. Yummy! What an absolutely beautiful fudge and perfect for the holidays! Caramel apples for sure are one of my favorite sticky, seasonal treats. So festive! Perfect for the hollidays. Caramels are my favorite treat. I love peanut brittle and classic chocolate fudge! Looks SO Holiday! Thank You! How does anyone choose just one? There’s Peanut Brittle, my mom-in-law taught me to make 30 years ago, there’s Caramel Corn, Homemade Millionaires, All Fudges, and I’m betting the one you’ve posted becomes a fav too! Love the looks of this fudge. I’ve got to make it. one of my favorite treats is dark chocolate almond toffee. fudge is my favorite holiday treat! My favorite ‘sticky’ holiday treat are the fried, jelly filled doughnuts that also have dips to choose from that my son and daughter in law make for Chanukah. They always have a houseful of guests to celebrate and the food is delicious. BUT these doughnuts are something truly outstanding. Thank you for this opportunity. My favorite sticky holiday treat is chocolate fudge. looks gorgeous. Would definitely try it this holiday season. Looks stunning! I remember the Peach House. We had our rehearsal dinner there! Sorry, um sticky treat. I love making homemade marshmallows too, they are hard to cut uniformly, but their awkward shapes make them seem more authentic! I have lots of favorite holiday treats, but narrowing it down to a sticky treat is hard! I guess I’d have to go with homemade marshmallows, which I only make at this time of year and which can be very sticky indeed. My favorite holiday treats are fudge and divinity. My family, however, loves peppermint bark and choc. 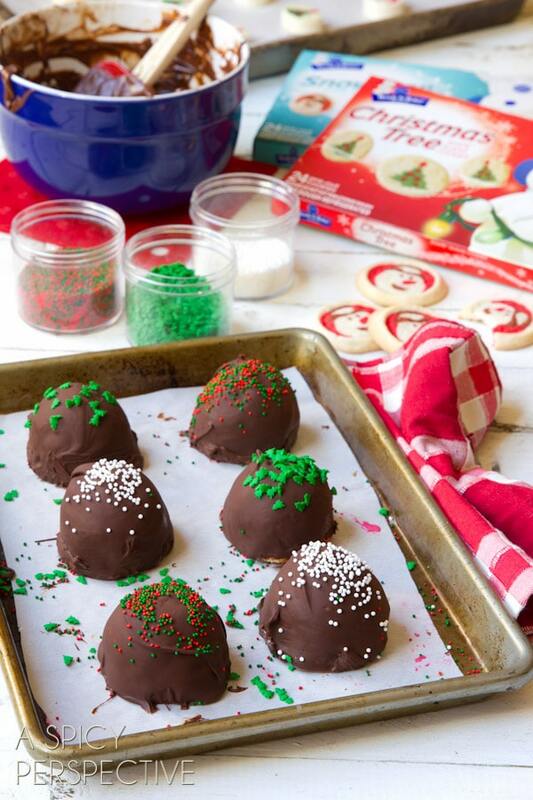 chip cookie dough truffles. My favorite sticky treat if definitely fudge and caramel. 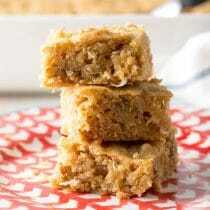 Pecan Pie Bars!!! Oh my word they are amazing!!!! This is one of the prettiest fudge recipes I’ve ever seen!! Date nut roll is my favorite sticky holiday treat. Locally made old-fashioned candy canes. Is anyone else having trouble with the entry form opening/loading? Sorry Pamela! The program I use has been a little sketchy this week. Please try again. boys howdy! that looks so good! 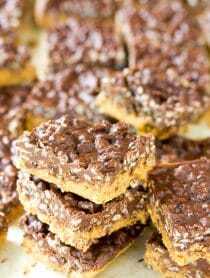 Toffee and Fudge have to be some of my favorite treats around the holidays! Peanut Butter Fudge, I look forward to it every year around Christmas! I can’t eat it all the time so it is a very special treat for Christmas!! Rice crispy treats are my favorite sticky holiday treat. I am sorry that I am unable to enter the drawing, as I am visitng my parents abroad. The pot looks amazing. At this time of year cooking is a delight because there is so much appreciation and enjoyment. I love all the holday treats, but ten towards chocolate! My grandma’s peanut butter fudge! I am a devoted chocoholic so anything ooey gooey chocolatey has my number. 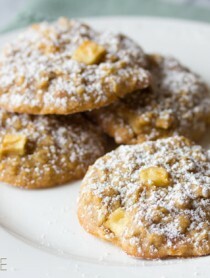 For the holidays I really adore Mexican Wedding Cookies. Not sticky at all. Does messy count? Looks amazing! 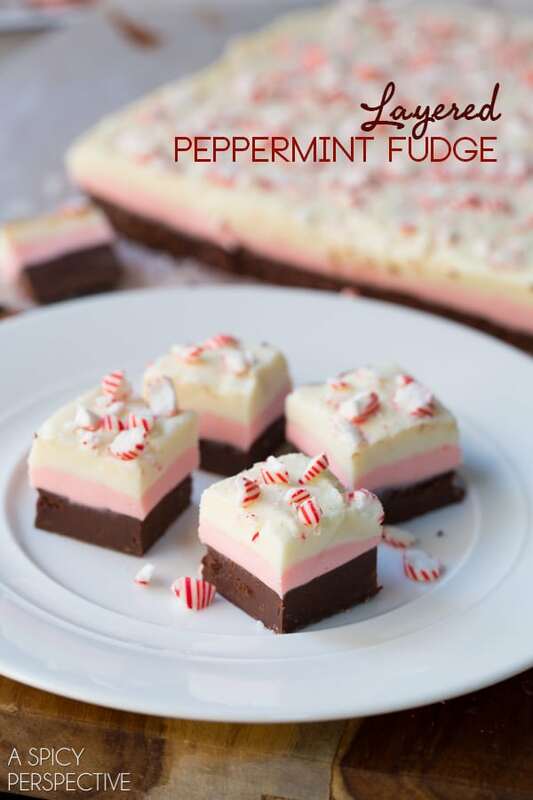 I love peppermint and fudge so these will surely be added to my Christmas dessert must haves! Along with Toffee and cinnamon almonds! The layers are so pretty! My sticky favorite is making orange balls with crushed vanilla wafers, frozen orange juice concentrate, powdered sugar, sweetened condensed milk, and chocolate morsels. Mix thoroughly (with hands!!!!!) and roll into balls. Roll prepared balls in colored sprinkles and let set up in the fridge….a good and tasty low tech holiday treat! Such a pretty and festive treat! My sticky favorite is Pecan Pie. I love to eat it around the holidays! I love peanut butter fudge this time of year! My favorite sticky holiday treat is chocolate covered caramel turtles. :P Yours looks absolutely wonderful. I cant wait to try it. It’s a tradition that my mom makes homemade caramel rolls for Christmas morning. Perfectly gooey and sticky! Homemade marshmallows for our hot chocolate!!!! Caramel apples are my favorite holiday sticky treat. It’s a toss up between caramel corn and toffee! My favorite is definitely chocolate saltine toffee, or better known as (and appropriately named) Christmas Crack. So addicting! I love pecan pralines, but haven’t ever made them successfully! 7 layer bars or fudge. I love Holiday Sticky Buns with Pecans. I love making popcorn balls! That fudge is so beautiful, it would be great to give as a gift. I would like to try it myself also. My favorite sticky treat is caramel, no salt please. Caramel fudge is my favorite. Chocolate and peanut butter fudge for sure. I love [to make & eat] salted caramels! Oh the sticky-ness! I love [to make & eat] salted caramels! Oh the stick-ness! I’m not a huge fan of sticky sweets, but fudge is always a favorite. I love classic chocolate fudge and sticky hard candies. This fudge looks beautiful — will definitely be making this this year! I think I like our Monkey Bread even more than fudge. I think. Homemade fudge is so yummy. A sticky holiday treat I enjoy is Rice Krispie Treats. candy canes! i cant resist the cherry ones! Toffee and fudge are our favorite sticky treats. Great giveaway!!! I’m loving this recipe!!! My favorite sticky holiday treat is toffee!!! The kid’s favorite is caramel popcorn balls. Everyone joins in to make them. I love rice krispie treats, especially with holiday sprinkles! Beautiful! This makes such a pretty presentation! 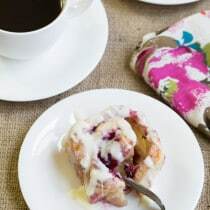 Mine has got to be sticky buns in the morning! Love that chocolate-covered angel candy! Sticky & wonderful! My favorite sticky treat is Rice Krispie Treats. Always makes a huge mess and sticks to my cheap cookware though! My favorite sticky holiday treat has to be caramel covered brownies! That fudge is just gorgeous!!! my favorite is probably caramels or the sticky jam on angel thumbprints. It’s gorgeous, Summer! Seriously beautiful. I do love anything mint + chocolate so I’m pretty sure I could do some damage on this! Love how easy it is to make too! I always make homemade caramels for Christmas! Can be pretty messy! Pretty fudge for the holidays! My favorite Sticky holiday treat is caramel corn balls! This layered fudge is beautiful and would be perfect as a treat to neighbors and friends. Have been looking for a use for the cans of sweetened condensed milk sitting on my pantry shelf. Your fudge is beautiful, as is the photography! This fudge is so pretty! A must around the Holidays! My favorite sticky treat is homemade caramel sauce! I love good old fashioned chocolate fudge!